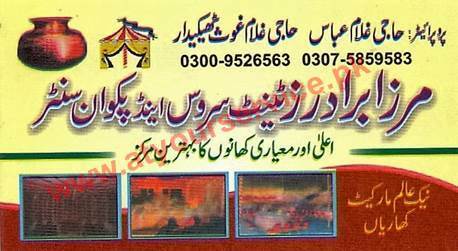 If you are looking for tent service in Kharian or catering service in Kharian, then Mirza Brothers are available at your service. For quality and taste in food for your guests, you can rely on us and we will not disappoint you. Give us a chance and you will always choose Mirza Brothers for your special occasions.